Rediscover Nature's Bounty in the beautiful Himalayan surroundings of Shimla and Manali. Explore the most gorgeous valleys, spectacular mountains, thick forests. 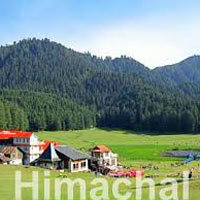 Let valleys of Himachal turn your 'just holiday' into a romance with the hills. A 7 day long sojourn to beautiful hill stations of North India will revitalize your sense with new vigor and will bequeath you with memories to be cherished for life. The tour encompasses various gorgeous hilly stations of the country perfect to beat the summer heat of the plains. Explore all the main tourist attractions at all these destinations under the guidance of expert guides and historians.Any monument entry fees / camera fees. On arrival at Delhi Airport / Railway Station and you will be met, assisted and drive to Shimla (located 350kms). 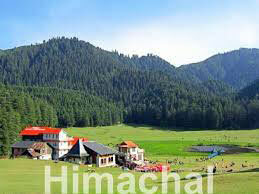 Shimla was the former summer capital of British India, set amidst the snow capped Shivalik Mountains. Which offers some of the most stunning views of the mighty Himalayas. On arrival at Shimla check in at the hotel. Overnight stay at Shimla. (8 hrs Journey). Meals : Morning Break-fast and Dinner. This day after breakfast proceeds for in and around sightseeing of SHIMLA, visit KUFRI, India's one of the best holiday paradise Kufri in Shimla is beautifully tucked on an altitude of 2,622 meter. The place is a tourist hotspot for its awesome scenic and sports activities. Evening free to stroll in the famous shopping place of Shimla town – “THE MALL & THE RIDGE” This large open space in the heart of town presents excellent views of the mountain ranges. Shimla's landmarks - the neo- gothic structure of Christ Church and the neo - Tudor library building - are worth seeing. Overnight stay at Shimla. ( GREEN VALLEY, WILD FLOWER HALL, HALI PAD, KUFRI, INDIRA TOURIST PARK, MINI ZOO & FAGU VALLEY ). Manali to snow point (Rohtang Pass) and on the way back from snow point visit Solang Valley and overnight stay at Manali. ( Nehru Kund, Kothi, Rahala Fall, Marhi, Rani Nallah, Rohtang Pass & Solang Valley ). Half Day local sightseeing of Manali "HADIMBA TEMPLE" Built in 1553 with a superbly crafted four tiered pagoda roof, it is famous for its exquisitely carved doorway. "CLUB HOUSE" The Club House with its comprehensive facilities that include a roller skating rink, an auditorium, billiards rooms, a library, a bar and restaurant makes wonderful outing for the day." Tibetan Monastery, Van Vihar, and "VASHIST" Well known for its hot springs. There are old temples dedicated to the sage Vashisth and to Lord Rama. Overnight stay at Manali. ( Hadimba Devi Temple, Club House, Manu Temple, Van Vihar, Tibetan Monastery & Vashist Bath Hot Spring Water ). In the morning drive to Dharamshala on the way sight seeing Baijnath Temple (Shiva Temple), Palampur Tea Garden and Chamunda Devi Temple. Overnight stay at Dharamshala. Full day sightseeing to Khajjiar, 25 kms from. Dalhousie. It's one of the most scenic saucer shaped Plateau and is surrounded by dense pine and deodar forests, its beauty has further been enhanced by a small lake in the center with a floating island and 9-hole golf course here are the other interesting places to cover. Return to Dalhousie and overnight stay at Dalhousie. Then visit Jallianwala Bagh- where, on April 13, 1919, British and Gurkha soldiers opened fire on an unarmed forbidden gathering, killing hundreds of civilians. Overnight stay at Amritsar. Tour will be start from Delhi.